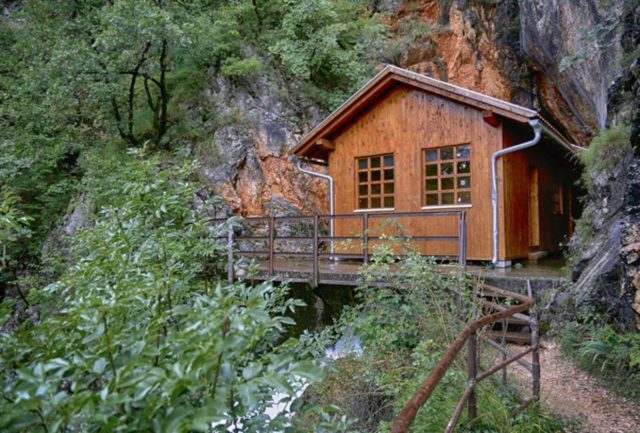 A cave in the western town of Drvar that served as a base to Yugoslav resistance leader Josip Broz Tito when in 1944 the occupying Germans attempted to kill him has been closed for tourists for lack of funds to fix a rock slide that makes access unsafe. The cave was a tourist hotspot throughout recent decades and one of the main sources of income for Drvar. “A part of Tito’s cave, precisely the wooden cabin that is part of the memorial complex ‘May 25, 1944’ has been destroyed by a rock slide,” Drvar municipal mayor Dusica Runic said. She explained that the municipality has found itself in a very difficult financial situation and that it does not have the resources to fix the damage. Local authorities appealed to all institutions at the canton level as well as to the Federation (FBiH), the entity the cave is located in, but to no avail, she said. “We have received no response from Canton 10, while the FBiH Civil Protection institution said solving this problem is not within their competency,” she said. If the damage is not fixed, Drvar will not be able to use the cave to, as is tradition, mark May 25, the day when the town resisted the failed Nazi airstrikes in 1944. Between 5,000 and 10,000 tourists visited Tito’s cave yearly until now. But visits were much more numerous before the 1992-1995 war – up to 200,000 people would come from all corners of the world to experience the legacy of Partizan resistance. The cave was restored and opened for tourists in 2006.